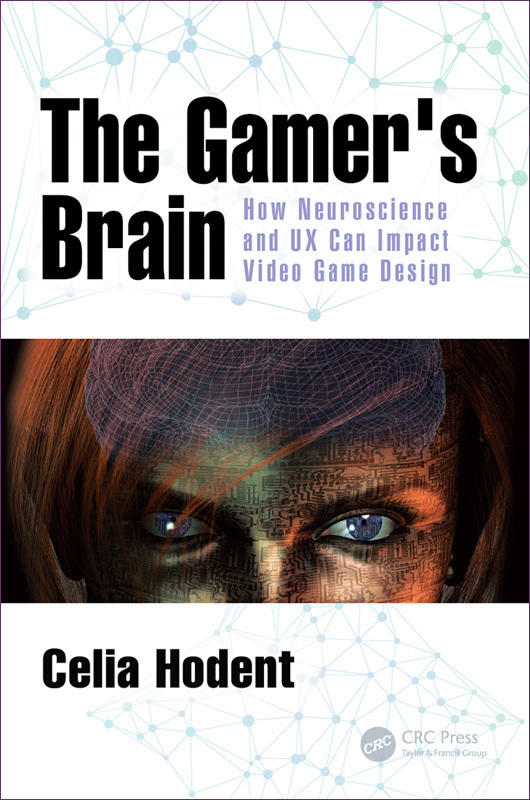 I’m a Game UX consultant, speaker, and writer, author of The Gamer’s Brain: How Neuroscience and UX can Impact Video Game Design. I’d be happy to help your project be successful! I’m also the Game UX Summit Chair and an adviser for the GDC UX Summit, so I’m always looking for interesting speakers to talk about Game UX in the conferences I help curate. I grew up playing a lot of games, including video games; because of this I felt compelled to walk away from academic research and enter the gaming industry. I first joined Vtech, a toy and educational game manufacturer, in 2005. Then, in 2008, I started an exciting quest about how neuroscience can help developers design better video games at Ubisoft’s Strategic Innovation Lab think tank (Ubisoft HQ, France). I worked more specifically with the ‘Games for Everyone’ department, on My Coach series for Nintendo DS. I also developed a training session exploring how the brain learns for Ubisoft’s Design Academy. In 2010 I joined Ubisoft Montreal and worked in the Playtest Lab department to focus on user research and user experience. I conducted research or participated in design discussions for many cool Ubisoft franchises, such as Rainbow 6, Driver, Assassin’s Creed, Far Cry, and Watch Dogs. Later, I worked at LucasArts on Star Wars: 1313 and Star Wars: First Assault (and some iOS games) only to see them cancelled and the studio closed. Sadly. In 2013, I joined Epic Games as Director of User Experience to develop UX practices and strategy for the studio. I mostly worked on Fortnite, but also on Unreal Engine 4, Paragon, Battle Breakers, Spyjinx, Robo Recall (VR) and many other exciting projects. My main goal with this blog is to share my knowledge and experience about how psychology can help offer a better experience for players, in the most concrete and applicable way possible. Offering a better UX also means making a video game (or other products or services) more likely to be successful and reach business goals. I’m currently doing consulting work in freelance. If you’re interested, you can visit this page. I’m also happy to exchange ideas so don’t hesitate to contact me via twitter, Linkedin, or this form. Enjoy your visit on my blog! You can check out my YouTube channel for videos of my talks and videos about UX, education, and games in general. You will also find videos from the Game UX Summit. Speaker, Game Camp, June 24-25, Lille, France. Speaker, Games for Change Festival, June 14-19, New York, NY. Speaker, UXPA Boston, May 10, Boston, MA. Speaker, GamesBeat Summit, April 24, Los Angeles, CA. Speaker, Devoxx France, April 19, Paris, France. Speaker, Reboot Develop Blue, April 11-13, Dubrovnik, Croatia. Speaker, GDC, “Ethics in the Game Industry”, March 20th 9am, San Francisco CA. Panelist, GDC, “Ethics in Artificial Intelligence”, March 19th (AI Summit), SF. Speaker, GDC UX Summit, Developing a UX Mindset on Fortnite, March 18th 4:40pm West Hall 2001. Advisor, GDC UX Summit, March 2019, San Francisco CA. Speaker, SXSW, “UX and Cognitive Science in Game Design”, March 15th 2019, Austin TX. This talk is supported by the Cultural services of the French Embassy in the U.S.
Panelist, Viacom Spark, “So You Think You Want to Make a Game”, February 21st, Nickelodeon Burbank Studio, CA. Speaker, DICE, “Unconscious Biases & Inclusivity Workshop”, February 13th 2019, Las Vegas NV. Speaker, IxDA Interaction 19, “The UX of Fortnite“, February 6th 2019, Seattle WA. Masterclass trainer, “Game UX and cognitive science” in Montpellier, France, January 25th (in French). Guest speaker, Université Paul Valéry, January 24th, Montpellier, France. Speaker, Pocket Gamer Connects, January 21st, London UK. Meetup, Women In Games France, January 16th, Paris. Meetup & Speaker, School of PO, January 15th, Paris. Masterclass trainer, “Game-Based UX and cognitive science” in Sydney, Australia on December 12. Guest speaker, Santa Monica College, November 13th, Santa Monica CA. Guest speaker, Bradley University, November 9th, Peoria IL. Masterclass trainer, “Game UX and cognitive science” in San Diego, CA, November 2nd. Speaker, San Diego Meetup, November 1st, San Diego CA. Featured in Le Monde – Pixel – Celia Hodent, la psychologue française derrière le succès du jeu vidéo Fortnite (may 2018). English translation here. Speaker, Switchpoint Ideas, April 26-27 near Chapel Hill, NC. Speaker at Pixel Federation on January 23rd 2018 in Bratislava, Slovakia. Featured in Pocket Gamer How the rise of UX has brought cognitive science to mainstream game development, by Matt Suckley (August 2017). Speaker at Clash of Realities (November 7-8 2017, Cologne, Germany). Chair, Game UX Summit 17 hosted by Ubisoft Toronto (October 4-6 2017, Toronto). Speaker at DEVHR (September 2017, Mexico City, Mexico — cancelled because the earthquake). Speaker at FMX (May 4th 2017, Stuttgart, Germany). Impact of Neuroscience and UX on Game Design. Host, curator, and masterclass trainer for the Game UX Summit (May 2016, Durham, NC). Article: The Elusive Power of Video Games for Education. Gamasutra, August 1st, 2016. Interview with Classcraft at Games for Change Festival 2016 (video). Speaker at GDC (March 2016, San Francisco, CA). The Gamer’s Brain, part 2: UX of Onboarding and Player Engagement. Masterclass Trainer at MIGS (November 2015, Montreal, Canada). Whole-day training on Neuroscience and UX applied to video game development. Masterclass Trainer at Game Connection (October 2015, Paris, France). Whole-day training on Neuroscience and UX applied to video game development. Speaker at Innovate Raleigh’s Summit (September 2015, Raleigh, NC), as Leadership Lab facilitator. Interviewed for The Psychology of Video Games. 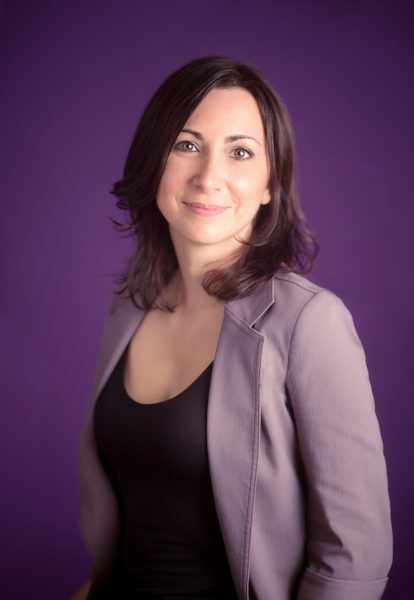 Podcast 6 (August 2015) Using Psychology to Craft User Experiences, by Jamie Madigan. Interviewed for Game Compatible’s Throwback Thursday (April 2015). Speaker at NC State University nexUX Meetup (April 2015, Raleigh, NC). The Gamer’s Brain: How Neuroscience and UX can impact Design. Speaker at ECGC (April 2015, Raleigh, NC). The Gamer’s Brain: How Neuroscience and UX can impact Design. Quoted in The Psychology of Video Games (April 2015). Three GDC 15 Talks on Psychology and Video Games, by Jamie Madigan. Interviewed for Full Sail On Air Studio (March 2015, Orlando, FL). Watch the video here. Panel Speaker at Full Sail Hall of Fame (March 2015, Orlando, FL). Why UX might be the Two Most Important Letters in Gaming, with Theresa Becker, Adams Greenwood-Erickson, Grant Shonkwiler, and Shawn Stafford (moderator). Speaker at GUR Summit (March 2015, San Francisco, CA). UX Invaders: We come in peace! How we can collaborate with game developers to frame “fun”. Article: 5 Misconceptions about UX (User Experience) in Video Games. Gamasutra, April 6th 2015. Speaker at MIGS (November 2014, Montreal, Canada). How we are using UX practices on Fortnite. Speaker at GDC Europe (August 2014, Cologne, Germany). Developing UX Practices at Epic Games. Speaker at Games for Change Europe (June 2014, Paris, France). User Experience in Playful Learning. Quoted in Maheux, F. and Morin-Simard, A, (2014). Les jeux vidéo au coeur de l’art, de la culture et de la société. Les Musées de la Civilisation du Québec. Variations, Objets et Savoirs, 1. Quoted in Polygon (2014). Epic Games wants to stray from red vs. blue, female character re-designs more ‘combat ready’, by Jenna Pitcher. Book chapter: Hodent, C. (2014). Toward a Playful and Usable Education. In Blumberg, F.C. (Ed.) Learning by playing: Frontiers of Video Gaming in Education. Oxford University Press. Panelist in the Epic Game’s Unreal Tournament Live Stream (July 2014). Unreal Tournament Concept Art Review and User Experience. Speaker at Escapist Expo 2013 (October 2013, Durham, NC). From the Garage to the Laboratory: How Science Impacts Game Design and Development. Speaker at UQAM (2011, Montreal, Canada). Cerveau, Jeux vidéo, et Utilisabilité (brain, video games, and usability). Colloque “Informatique cognitive et sa place dans l’industrie”. Speaker at UX Masterclass (2010, Montreal, Canada). Brain, Usability, and Video Games. Interviewed for Le Lien Multimédia (2010). Le cerveau et l’expérience de jeu. Interviewed for Doc Pro News. CNRS Hebdo, 2010. Speaker at Musée Suisse du Jeu (2009, La-Tour-de-Peilz, Switzerland). The positive impacts of video games. Speaker at Game+Learning+Society Conference (2008, Madison, WI). From pure entertainment to playful learning. Speaker at Festival du Jeu Video (2008, Paris, France). The benefits of playing video games. Speaker at Festival du Jeu Video (2007, Paris, France). Video games and the child development. Speaker at Institute of Psychology (2007, Fribourg University, Switzerland). Benefits and limitations of the use of digital educational toys and games by young children. Interview Marchand, G. (2009). Neuropédagogie: Les jeux forment la jeunesse. Le Monde de l’Enfance, 5. Interview de Mallevoüe, D. (2008). Le troisième âge devient accro aux jeux vidéo. Le Figaro. Audition – Can Video Games Promote Intergenerational Play & Literacy Learning? Research & Design Workshop conducted by the Game Innovation Lab at the University of Southern California, the University of Michigan School of Education and Learning Sciences, and the Joan Ganz Cooney Center at Sesame Workshop (2009). Audition – L’Enfant et les écrans. Academy of Sciences, France (2006). Article: Hodent-Villaman, C. (2007). Les jeux vidéo sont-ils bons pour le cerveau? (Are video games good for the brain?). Sciences Humaines, 178. Article: Hodent-Villaman, C. (2007). Les jeux éducatifs (educational games). Cerveau & Psycho, 24. Book chapter: Hodent-Villaman, C. (2007). Psychanalyse et neuroscience: Conflit ou réconciliation? In Molinié, M. (Ed.) La Psychanalyse: Points de vue pluriels. Editions Sciences Humaines. Audition – Les jeux vidéo et l’éducation artistique et culturelle, conflits, complémentarités et perspectives. Haut Conseil de l’Education Artistique et Culturelle. French Ministry of Culture and Communication (2006). Article: Hodent-Villaman, C. (2006). Le langage gestuel des bébés. Cerveau & Psycho, 17. Article: Lubin, A., Pineau, A. Hodent, C., and Houdé, O. (2006). Language-specific effects on number computation in toddlers: A European cross-linguistic cartography. Cognitive Development, 21, 11-16. Article: Hodent, C., Bryant, P, and Houdé, O. (2005). Language-specific effects on number computation in toddlers. Developmental Science, 8, 420-423. Article: Féron, J., and Hodent, C. (2002). Preverbal numerical abilities and their evolution. Intellectica, 1, 211-230.